If you want your vehicle to last as long as possible and be in top condition, you should bring it to The Hamburg Garage for regular tune-up services. The certified technicians at our repair garage can perform various preventative maintenance services, including tune-ups on your vehicle. 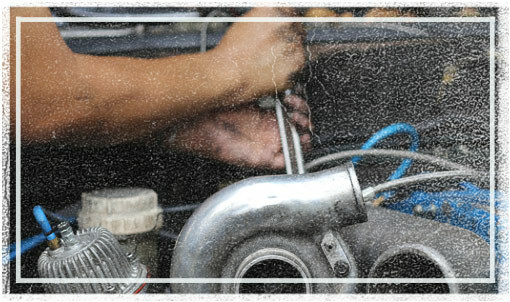 The majority of vehicles are in need of a tune-up service every 30,000 miles. The Hamburg Garage offers dependable, affordable and quality tune-ups, as well as various other auto repair and maintenance services in Whitmore Lake. Each component of your vehicle has a certain life expectancy, so it should not come as a surprise when for instance, your transmission or suspension breaks down. The life expectancy of each component is shown in your owner's manual with specific manufacturer benchmarks, roughly around every 30,000 miles. However, sometimes these components can last much longer than the suggested time frame. Nonetheless, it's a good idea to have them inspected by a qualified and experienced technician at our auto repair shop, on a regular basis. If you want to avoid major problems in the future, you should have a computer diagnostic performed and vehicle components inspected on a regular basis. At The Hamburg Garage, we are aware of the fact that preventative maintenance services, such as tune-up can prolong the life of your vehicle and save you money in the long run. Schedule an appointment for a tune-up service today with one of our skilled technicians to avoid major vehicle problems and extend your car's life.